In the UK, when school is out for summer, children get 6 glorious weeks at home. After the first few well deserved lie-ins, your little ones are likely to get bored. There are so many fun activities for both children and adults to do in and around London, and they are usually open 7 days a week so working mums won’t have to miss out. Mum tip #1: it’s better to buy tickets online because (a) it may be cheaper, (b) it can guarantee access to the venue. Mum Tip #2: Check your local council’s website for upcoming kid-friendly events. Please note: Attractions 5-9 are cheaper when more than one is purchased. Hyde Park – (Hyde Park). Admission: Free. It’s one of London’s largest parks, and a great place to have a picnic and runaround. The Beach – (Lakeside). Admission: Entry is £3 per person. Rides are paid with tokens which cost £1.20 each/ £1 each when you buy 10 or more. There’s food, fun fair rides, sand and a small pool. Science Museum – (South Kensington). Admission: Free. Check the website for an up-to-date timetable. Tower of London – (Tower Hill). Admission: Adults are £21.50 each and children £9.70 each. A historic castle. London Aquarium – (Southbank). Admission: Adults from £20.40 and children from £16.30. London Eye – (Southbank). Admission: Adults from £23.50 and children from £16.95. A huge Ferris wheel that overlooks London. Shrek’s Adventure – (Southbank). Admission: Adults from £19 and children from £15.30. Madam Tussauds – (Baker Street). Admission: Adults from £29 and children from £24. It’s home to famous waxworks. London Dungeon – (Southbank). Admission: Adults from £21 and children from £16.80. Beware, this place is scary. London Zoo – (Regent’s Park). Admission: Adults from £24.30 and children from £18. Big Bus Tour – (London). Admission: Adults from £31.50 and children from £16.20. Sightseeing London’s landmarks. Cooking with Errin Ashleigh – (East London) Admission: £12 for children, inclusive of apron, hat, ingredients and food to take home. Check the link for dates/times of sessions. Old Macdonald’s Farm Park – (Brentwood). Admission: Adults from £9 and children from £8. Harrods Toy Kingdom – (Knightsbridge) Admission: Free. They have ministations and activities. Better Extreme Trampoline Park/Skate and Climb – (Dagenham). Admission: Adults and children from £7.95 per person. I’d love to hear any suggestions you may have. 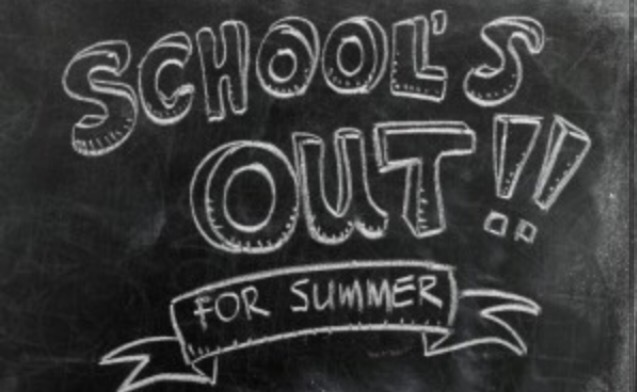 Enjoy your summer! Previous Post Mummy must haves!